PLEASE READ THESE TERMS AND CONDITIONS CAREFULLY PRIOR TO ENTRY. THE COMPETITION IS OPEN ONLY TO LEGAL RESIDENTS OF THE UNITED STATES, THE DISTRICT OF COLUMBIA AND UNITED STATES TERRITORIES, EXCEPT ARIZONA, WHO ARE AGES 18 AND OLDER. VOID WHERE PROHIBITED BY LAW. Given the potential to reimagine and revolutionize how care is delivered through seamless integration of clinical-grade wearable sensors, predictive analytics, mobile apps, connectivity, med management, patient education & engagement and other transformative experiences, what innovations can you propose that would further the Triple Aim in the management of patients with chronic diseases? Participants are encouraged to think of holistic ways of solving these tough, multi-disciplinary challenges through combination of technology around wearables, software & analytics to help make meaningful decisions. This is an open call for submissions from any discipline, including clinicians, engineers, entrepreneurs, patients, caregivers, designers, artists, etc. Given the massive improvements in wearable sensor technology, predictive analytics, mobile apps, connectivity, education and other technology, what innovation can you propose that would further the Triple Aim in the management of patients with chronic diseases? (“Submission”). The Competition is open only to individuals who are 18 years of age or older as of the date of entry and who are legal residents of one of the fifty (50) states of the United States or the District of Columbia or the U.S. Territories, except Arizona. You must be able to show a picture ID (driver’s license, passport) for proof of age upon registration. The following are not eligible to enter or win the Competition: employees, officers, directors and contractors of Philips or its subsidiaries or affiliates, and/or any member of their immediate family (i.e., a spouse, parent, grandparent, child or grandchild) or household of any of the foregoing individuals. Any individual participating in the Competition that is a health care provider or government employee agrees to take full responsibility for reporting under the Sunshine Act or other applicable law any prizes they may win or gifts they may receive as a result of entering the Competition. Each individual participating in the Competition represents that they are acting on their own and are not representing their employer or any other government entity during their participation in the Competition. Entries may be submitted by groups of individuals up to 6 people (a “Team”). Each Team must designate a single member of the Team who will serve as the Team’s sole representative for communications and all other purposes in connection with the Competition (the “Team Leader”). Any teams must be formed and recorded using the “invitation” functionality on the Medical Networking Inc. “Medstro” social network platform. Each Team member shall be considered an (“Applicant”) hereunder, and is required to acknowledge and agree to these terms and conditions. All agreements, consents, representations and warranties made or given by a Team Leader herein or otherwise in connection with the Competition will be binding upon all members of the pertinent Team as if made by each such member. The entry period for the Competition begins on July 27, 2016 and ends at midnight EST on October 1(the “Entry Period”). Philips is not responsible for, and You specifically release Philips, its affiliates, subsidiaries, directors, officers, trustees, customers, employees and agents from, any and all claims and liability relating to the Submission and the Competition, regardless of the legal theory of the claim. The Submission must not contain material that violates or infringes another’s rights, including but not limited to privacy, publicity, copyright, trademark, patent, or other proprietary rights. The Submission must not contain footage, images or artwork not created by You unless it is taken from a digital asset library provided for this event; The Submission must not contain material that is inappropriate, indecent, obscene hateful, defamatory, slanderous or libelous. The Submission must not contain material that promotes bigotry, racism, hatred or harm against any group or individual or promotes discrimination based on race, gender, religion, nationality, disability, sexual orientation or age. The Submission must not contain material that is unlawful, in violation of or contrary to the laws or regulations in any jurisdiction where Submission is created. By entering, You represent and warrant that: (a) Your Submission and all components thereof, including all ideas, creative elements and any other materials and information contained in the Submission are wholly original to You or to a registered member of your team, (b) no person or entity (other than a registered member of your team, as the case may be) has collaborated with You in creating the Submission, provided any material or information for inclusion in the Submission, or has any ownership rights in and to the Submission or any component thereof, (c) You have the exclusive, unconditional right and authority to submit the Submission and to grant the rights set forth herein, and (d) the Submission complies with these Terms and Conditions in full. Philips reserves the right in its individual discretion to disqualify and/or not accept any Submission that Philips determines does not or is likely not to comply with these guidelines, to make such changes to any Submission as are necessary to make it compliant, or to require You to do so. A panel of judges comprised of Philips and industry leaders and consultants will review all Submissions. Once the submission deadline passes, the judges have 10 days to review and provide their scores. The average score of all judge scores recorded for a submission will be divided by five and added to one to obtain the “Judge Score Multiplier”. For example, a Submission with an average judge score of 3 out of 5 will be assigned a judge multiplier of 1 + 3/5, or 1.6. Each Submission’s “Total Score” shall be the total number of crowd votes received by that submission multiplied by the “Judge Score Multiplier”. For example, if a Submission receives 100 crowd votes, and an average judge score of 4/5, then the Total Score will be 100 * (1 + 4/5) = 180. Five finalists will be chosen by a combination of crowd voting and the scores of the official judges. These finalists will be invited to present their ideas live before a panel of judges and an audience at a final pitch-off event on October 25, 2016, where the winners of the three prizes will be selected. Judges will deliberate to determine a winner based on the criteria below. The winners will be announced at the conclusion of the event. How well does it address the primary goal of the challenge? How practical is it? Can it be easily integrated into the clinical workflow? Can it be piloted? Does the submission address the needs and points of view of all of the extended care team, the patient and the patient’s family? Medical Networking, Inc. will notify the potential Winners at the conclusion of the online judging on October 11, 2016. In order to qualify as a Winner, each Applicant (Team) must be available for attendance at the live competition and present to the Panelists at the competition. For team submissions, the prize money will be distributed by Philips equally among all registered team members. By entering, You grant to Philips and their designees the irrevocable, royalty-free right to publish, disseminate and use Your name, likeness and biographical information without further notice or consideration, in perpetuity, throughout the world, in all media and formats now known or hereafter invented, in connection with the execution and promotion of the Competition and the promotion of Philips and its activities. In addition, by entering, you grant to Philips and their designees a nonexclusive, irrevocable, royalty-free license to reproduce, exploit, adapt, use and display worldwide, in perpetuity, throughout the world, in all media and formats now known or hereafter invented, information about the Submission , including without limitation posting information about the Submission on websites operated by Philips or Philips contractors,(or such other Philips designated on-line environment), in connection with the execution and promotion of the Competition and the promotion of Philips, without further notice or compensation. Each team entry is responsible for determining the disposition of any intellectual property developed during the course of the Competition. Philips shall not be responsible for mediating disputes that arise relating to intellectual property ownership. If a dispute arises concerning intellectual property ownership, Philips may in its sole discretion disqualify any Submission. By entering, You grants to Philips and their designees the exclusive and irrevocable right and option (the “Right of First Offer”) to invest in, develop, take to market, license and/or otherwise exploit the Submissions, including any intellectual property therein, subject to the terms of this paragraph. As used herein, the Right of First Offer means that if You decide to offer the Submissions or underlying intellectual property for commercial exploitation of any kind, You shall first notify Philips of such desire in writing and immediately thereafter negotiate with Philips with respect to any exploitation in the Submissions or underlying intellectual property. Notice shall only be satisfied under this paragraph if acknowledged or confirmed by a Philips representative. If Philips fails to respond to the initial acknowledged notification from You within five (5) business days or if, after the expiration of ninety (90) calendar days following Philips receipt of such notice, no agreement has been reached, You will be free to negotiate with any third party with respect to the exploitation of the Submissions or any interest therein. This Right of Offer shall expire within one (1) year of the date of the final day of the Competition and thereafter, You will have the right to negotiate with any third party with respect to the exploitation of the Submissions or any interest therein. Philips Right of First Offer shall inure to the benefit of Philips, its successors and assigns, and shall bind You and your heirs, successors and assigns. By entering, You grant to Philips and their designees an exclusive and irrevocable first right and option (“Right of First Negotiation”) to negotiate an exclusive or non-exclusive, worldwide commercial license, with the right to sublicense to end users, under Your rights in any and all intellectual property related to the Submission, including but not limited to derivative works or inventions conceived after the Competition is completed. 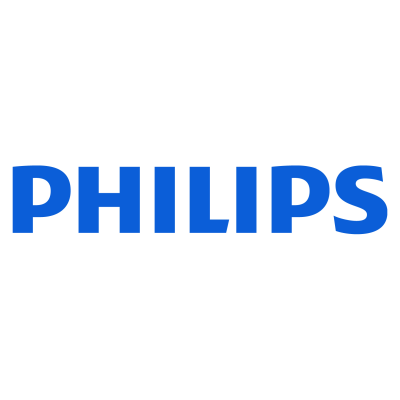 Philips may exercise its right to negotiate a license to any intellectual property right of Yours relating to the Submission by notifying You in writing within ninety (90) calendar days of the final day of the Competition (“Right of First Negotiation Option”). 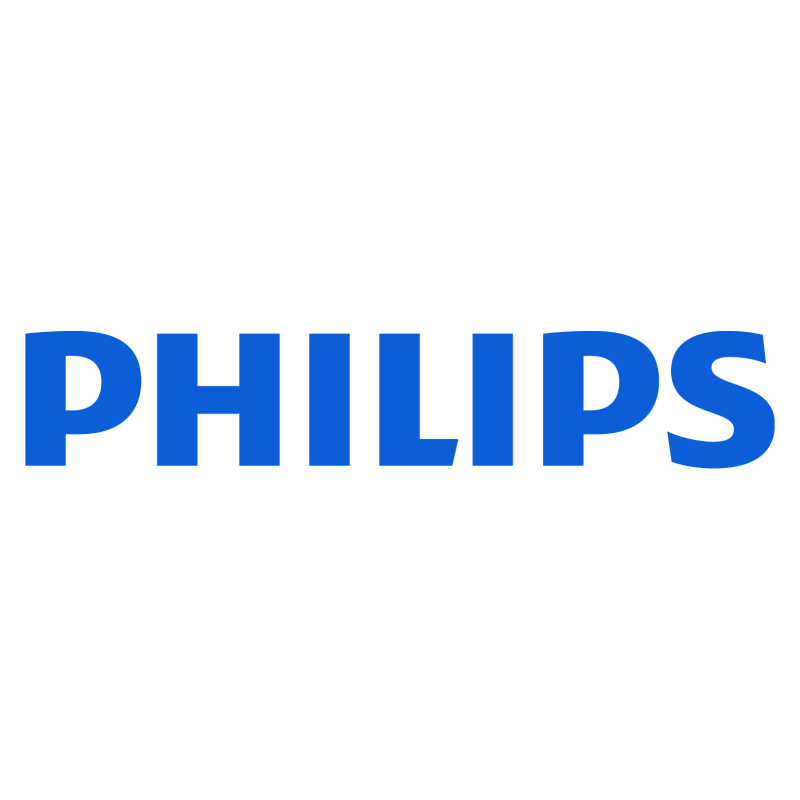 If Philips exercises its Right of First Negotiation Option, You and Philips shall negotiate the terms of any license(s) in good faith, on commercially favorable terms, within ninety (90) calendar days from the date such option is exercised (“Negotiation Period”). Philips Right of First Negotiation shall inure to the benefit of Philips, its successors and assigns, and shall bind Applicant and his or her heirs, successors and assigns. You agree that you will not, during either the Right of First Offer, Right of First Negotiation Option, or during any associated negotiation period under this agreement, disclose any Submissions, intellectual property rights therein, or any other confidential information to any third party or enter into or negotiate with any third party any agreement or contract relating to such Submissions or underlying intellectual property. You acknowledge and agree that this Agreement in no way obligates Philips to conclude a purchase, license, joint venture, investment, collaboration or further agreement of any kind relating to the Submission, and that under no circumstances will Philips be liable to You, your Team, or anyone else for any failure to conclude an agreement or exercise any option relating to the Submission. These Terms and Conditions shall be governed by and interpreted under the laws of the State of New York without regard to conflicts of laws provisions. You hereby agree that any and all disputes, claims, causes of action or controversies arising out of or in connection with the Competition or these Terms and Conditions shall be resolved individually, and without resort to class action, exclusively by a state or federal court located in New York, New York. By entering, You irrevocably waive any right to seek and/or obtain rescission and/or equitable and/or injunctive relief. You acknowledge that Philips and its affiliates or subsidiaries may have engaged or continue to engage in the development, production, acquisition and dissemination of materials that may be similar or identical to Your Submission. Philips may use information about Your Submission in whole or in part, without any payment or other obligation whatsoever to You, if the Submission (a) is not unique, novel, original, and concrete so as to be entitled to protection under applicable law, (b) has been made public by anyone at the time of its submission to Philips or otherwise is in the public domain, (c) would be freely usable by a third person if it had not been accepted as a Submission, or (d) is similar or identical to, or contains significant elements encompassed in, an idea, concept or material that has been independently created by either Philips or any third party. Acceptance by Philips of a Submission is not an admission by Philips of the novelty or originality of the Submission. By submitting an entry for the Competition you, the Applicant, agree that Philips privacy terms found at http://www.usa.philips.com/privacynotice/index.page apply hereunder. Philips reserve the right in its sole discretion to disqualify any individual who violates these Terms and Conditions, tampers with the entry process and/or acts in any way that would, in any way, discredit or harm the reputation of Philips, and/or to cancel, modify or suspend this competition should entrant fraud or misconduct or other causes beyond the control of Philips corrupt the administration, integrity, security or proper operation of the competition. Philips is not responsible for lost, late, illegible, incomplete, damaged, mutilated, misdirected, misdelivered, or delayed entries, or for technical or human errors or failures of any kind in connection with the submission, transmission, processing or judging of entries, including without limitation any malfunctions or failures of computer hardware, computer software, networks or telephone equipment or any technical problems or traffic congestion on the Internet or at any website or any combination thereof. These Terms and Conditions set forth the entire agreement and understanding between Philips and You and merges and supersedes all prior discussions, agreements and understandings of any kind between them. You are an independent contractor and nothing contained herein shall constitute this arrangement to be employment, a joint venture, or a partnership. Philips’ failure to enforce any of these Terms and Conditions shall not constitute a waiver of any provision contained herein.